While it’s easy to forget, manufacturing processes are applicable in virtually all areas of our lives. From the car we drive to work to the food storage containers in our pantry, all of the necessities we use today were at one point or another manufactured by a professional. The fundamental idea of manufacturing is to create or produce something that has a useful form or function. More often than not, this new form has been predetermined and calculated to meet specific requirements and physical geometry. Meeting unique performance requirements such as tolerances, strength, and weight. Meeting the cost of production requirements. Being able to reproduce the product at a contact quality during mass production. At United Global Sourcing, we understand how challenging it can be to find a manufacturing company for your fabrication needs. That’s why we offer turnkey solutions for industrial manufacturing and consumer products. While some companies simply connect you to a manufacturer and then disappear, leaving you mired in miscommunication and quality issues, that’s not the case when you work with us. We’re dedicated to maintaining a 24-hour communication cycle with each and every one of our clients. This allows us to quickly and easily identify issues early on in the production process, so you can rest assured that your components and assemblies are delivered with the best quality materials in a timely fashion. If you’re interested in learning more about our services or you’re ready to find an overseas manufacturer to assist you with your production needs, contact our friendly team today. There are a variety of materials that can be used to fabricate consumer products like sporting goods, pet supplies, and household products. The three most common types of materials are: metals, ceramics, and polymers. Let’s take a look at the individual characteristics and properties of these materials below. As you may have guessed, metals are hard yet malleable materials, which means that they are flexible and can be shaped with enough pressure. Their unique combination of strength, flexibility, and durability makes them very useful materials for a variety of structural applications. When the surface of metal is polished, it can have a shiny and lustrous appearance. It’s important to note that this material can be obscured by the presence of things like grease, dirt, and salt. Many industrial machines have the ability to use a variety of metals, including stainless steel, titanium, silver, and gold. It’s important to note that most metal compounds are generally not wholly melted during the sintering process (the process of compacting and forming a solid mass of material by heat or pressure without melting it to the point of liquefaction), but the particles are indeed merged. It’s also important to remember that metal alloys are not suitable for full melting because all metals have different melting points. You may remember ceramics from that pottery class you took in high school, but do you remember what the benefits are of this material? Ceramics can be very strong and hard, making them great for industrial applications like the fabrication of car parts and tools. A downside to ceramics is that they lack flexibility, but they can be very resistant to high temperatures and the exposure of harsh chemicals. Ceramics are also known to withstand well against harsh environments, unlike metals and polymers. ABS is a unique type of polymer that can be found all over the world, and is mostly identified as the type of plastic that is used for making Lego bricks. Despite its popularity, PLA is becoming more and more renowned due to its flexibility and a variety of finishes. Many manufacturing companies will use these polymers as an additive to the manufacturing process. The advantage to doing so is being able to strengthen the product without adding any additional weight to the initial design. The unique process of converting raw materials into a marketable product is essentially the backbone of any industrialized nation. The greater the manufacturing activity level within a city or country, the higher the standards of living will be. While the uprise of manufacturing activity is due in part to strides in technological advances, the basic manufacturing processes remain the same. Now that you have a general understanding of some common materials used in the manufacturing process, let’s take a look at the different types of manufacturing processes available. Manufacturers all over the world use a process called casting to help them produce items of a particular shape that would otherwise be difficult to create. During the casting process, a molten material is injected into a solid mold and allowed to solidify. The solidified part is also known as a casting, which is eventually broken out of the mold or ejected to complete the manufacturing process. There are a few different types of casting that are available to manufacturers, and depending on the product you’re looking to make, the manufacturer you work with can help you choose the best process for your product. It can be easily recycled. It has the ability to withstand extremely high temperatures. For metals with high melting temperatures like steels, nickel, and titanium, sand casting may be the process of choice. Die casting is another type of manufacturing process that is used for producing accurately dimensioned and sharply defined metal parts. Similar to other casting processes, it is accomplished by forcing molten metal under high pressure into reusable metal dies. There are many advantages to die casting, and one of the biggest reasons people choose this manufacturing process is because it can save them a tremendous amount of cost on production. When you choose to die cast a product, you have the option of creating complex shapes, including minimal draft angles and complex internal features. You also have the option of combining multiple parts to a single part, which can eliminate additional assembly operations down the line. Centrifugal casting is the preferred manufacturing process for a variety of products on the market including military items like jet engine compressors. Centrifugal casting is a cost-effective means of creating unique shapes while also lowering your production costs. During this casting process, molten metal is slowly poured into a heated, spinning die. Depending on the configuration of the desired part, the die may be oriented on a vertical or horizontal axis. As the molten metal is poured into the machine, the centrifugal force acts to keep the molten metal at pressures close to 100 times the force of gravity. Hammers - Hammers can have a driving force of up to 50,000 pounds! In most manufacturing facilities, these hammers will beat the metal into shape using controlled and high pressure blows. Presses - Believe it or not, presses can have a driving force of up to 50,000 tons! Presses can squeeze metal into shape vertically. Upsetters - These are forging presses which are used horizontally to compress metals into a specific shape or geometric dimension. is a unique manufacturing process of cutting components to exact specifications. It can usually involve removing excess material from a component or bringing its level to a new, higher tolerance. In the layman’s terms, precision machining means shaping large chunks of metal or material into smaller, more complicated parts so they can carry out a specific task. In many manufacturing facilities throughout the world, CNC machining can be used for this type of process. Also known as computer numerical control machining, CNC is a manufacturing process where pre-programmed computer software can be used to dictate the movement of factory tools and even machinery. This process is a favorite among manufacturing professionals because it can be used to control a wide range of complex machinery, including grinders, lathes, mills, and more. As you may have been able to guess, plastic injection molding is a manufacturing process that can be used for making plastic injection molds from either thermoplastic or thermosetting plastic materials. During this process, the material is fed into a heated barrel where it is mixed and eventually forced into a mold cavity. Once in the mold, the material is compressed with a ram injector, where the molded part cools and hardens to the mold cavity. Once the part has been designed by an engineer, the mold can be replicated by the manufacturing company. Also known as presses, injection molding machines normally consist of a material hopper, an injection ram, and a heating unit. When the molds are clamped to the platen of the machine, the plastic is injecting through what is known as a spruce orifice. Presses are rated by tonnage. This is the calculation of the amount of clamping force that the machine can exert. Tonnage may vary from 5 tons to 6,000 tons, and the total clamp force needed will be determined by the projected area of the custom part that is being molded. These days, it seems like a majority of the manufacturing companies are using electric presses to take over the original hydraulic injection molding machines. Studies have shown that companies who use these machines produce 80% less in energy consumption. It is estimated that within the next 10 years, hydraulic molding machines will be a thing of the past. Plastic injection molding is the preferred process for manufacturing plastic parts, and it can be ideal for people who want to produce a high number of parts at a low cost. At United Global Sourcing, our customers have the ability to choose from a vast and impressive selection of thermoplastics and thermosets to meet their needs and budget. We’ve worked with a large array of resins including: acetal, acrylic, nylon, and PVC. At United Global Sourcing, we routinely provide customers in the automotive, medical, construction, and aviation industry with precision machine parts as described under NAICS 332721. We can engineer these components in a variety of materials including steel, aluminum, brass, and high-performance plastics. Our manufacturing partners can create complex parts and assemblies to some of the most precise industry standards and measurements. Check out some of our examples online or contact our friendly team today to learn more. 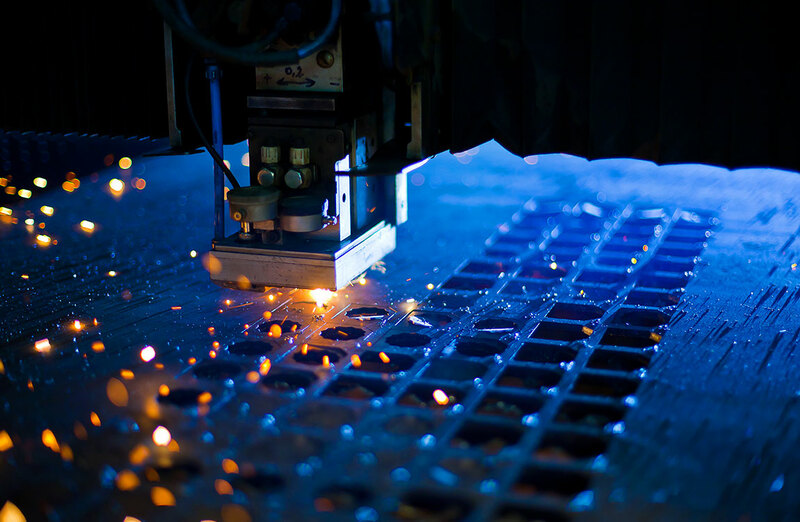 If your company produces any kind of product, it can be challenging trying to decide where you should place your manufacturing operations and fabrication needs. While you can probably find a local manufacturing company in your country, there may be better options available for you overseas. Outsourcing offers a variety of benefits, including the fact that it can be much cheaper to manufacture items and ship them across the ocean opposed to having them made in-house. Let’s take a look at some major benefits of outsourcing your manufacturing. When shopping around for the best outsource manufacturer, you’ll want to create a request for proposal, also known as an RFP. A request for proposal can be defined as a type of bidding solicitation in which a company or business announces that funding is available for a particular project. As a result, manufacturing companies can place bids for the project’s completion. More often than not, the RFP outlines the bidding process and contract terms, as well as provides guidance as to how the bid should be formatted and presented. In the United States, people who work in the manufacturing industry are compensated fairly well due to union protections. In fact, according to the Department of Labor’s Bureau of Labor Statistics, the US ranks 14th in the world in wages and compensation for people in the manufacturing business. When you choose to have your manufacturing operations handled abroad, you can expect significantly lower labor costs. Instead of trying to build, maintain, and operate a manufacturing facility on your own, renting one out can save you a tremendous amount of time and money down the line. Some manufacturers are even willing to store and ship your products for a small price as well. Outsourcing your manufacturing needs will not only reduce your business’ labor costs, it will also help to limit your overhead costs as well. Renting or owning a manufacturing space in the US can be incredibly expensive. This is especially true when you start to think about the cost of insurance, utilities, maintenance, and hiring a staff. If you’d like to start manufacturing car parts but you don’t know the first thing about the automobile industry, working with an outsourced manufacturer can benefit you when it comes to supply chain management. Outsourcing has allowed people from all over the world to access skilled procurement experts that have the knowledge and skills to point you and your product in the right direction. As a business owner, your daily list of things to-do likely gets longer with each passing day. When you decide to outsource your manufacturing operations to a company overseas, it will allow you and your other employees to focus on what’s really important: the daily operations and challenges of your business. There are several different specialized contact manufacturers out there, it’s just a matter of finding them! At United Global Sourcing, we understand how important it is to hire a trustworthy and dependable manufacturing company, which is why we work with each and every one of our clients every step of the way. We put communication and quality first in all that we do, and we won’t ever compromise. Whether you need help with product concept, design, or logistics, we can help you navigate the complex waters of manufacturing. Since overseas manufacturing is less expensive than in-house manufacturing, it allows companies to produce very large volumes at a very low cost. Volume ensures that your business will be able to meet its market demands, and having the ability to mass produce your product is critical to your company’s overall success. These days, customers expect fast methods of delivery. When you outsource your manufacturing operations overseas, you have the unique opportunity to compete with other people in your industry on an international level. Most manufacturing facilities are equipped with the proper resources and personnel to give businesses of all sizes the chance to partner with multi-million dollar production houses. As you can see, there are many benefits to outsourcing your manufacturing. When a business doesn’t have the proper resources or they simply lack the economies they need to scale and grow effectively in, hiring a contract manufacturer (CM) may be a great compromise. It’s very rare for small to medium-sized businesses to have the ability to invest in themselves, making outsourcing the most logical and economical option. At United Global Sourcing, we’re passionate about helping people bring their brilliant idea or invention to life. If you need assistance with industrial manufacturing including precision castings and machining and plastic molded components, our professionals can help. We also specialize in the fabrication of consumer products including sporting goods, automotive accessories, and cut and sew products. References. The manufacturer you choose should have ample experience creating parts and products similar to yours. The history of the manufacturing company. Make sure to do some research on how long the manufacturer has been in business, the number of customers they have serviced, their customer retention rate, etc. Finding a manufacturer to work with longterm can be challenging, but having a clear understanding of their history and capabilities will help you to determine the best option for your business. Resource and development. This refers to the investigative activities a manufacturer makes to improve their existing products and procedures. The last thing you want is to sign a contract with a manufacturer, only to learn that their processes are old and much less efficient than new ones. An organizational overview. This is normally a brief description of your company’s mission, as well as the desired product you’d like to have manufactured. This will give each outsourcing company some background on your company and a scope of your manufacturing and fabrication needs. Your project goals and target audience. What are your manufacturing goals? Who is your target audience? Answering these questions will help each manufacturer to understand your needs. Project deliverables. Are there major components of your project that your manufacturer should be aware of? Describe the required features and design of your product, along with your long-term goals for manufacturing. Your timeline. What is the manufacturing timeline for your project? If you hope to receive a response in a timely matter, be sure to include the date you plan to announce the winning bidder. It’s important to note that the longer your RFP is, the more detailed a response it will require from your bidders. At United Global Sourcing, we understand how time consuming and challenging it can be to create a thorough RFP. If you need assistance finding the best outsource manufacturer for your product or parts, get a free quote from our team today. We can help you find the best industrial manufacturing company or factory that suits your needs, budget, and timeline. If you have any questions about our services, reach out to us today!